What Does The Best Bond Cleaning In Bardon Cover? Finding and selecting reliable house cleaning in Bardon is not easy. The most common questions we get asked by people like yourself have been collated below to assist you in making a smart decision. 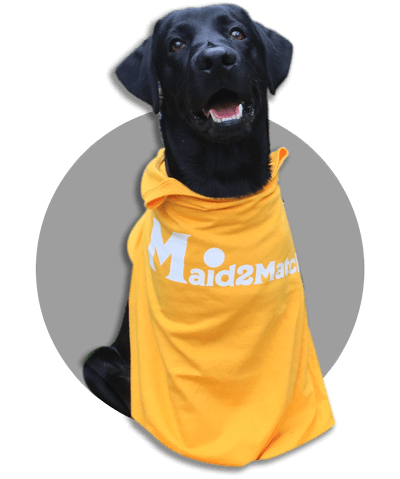 WHY ARE MAID2MATCH BARDON’S BEST AT VACATE CLEANING? The truth is great bond cleaners possess a different skill set than regular house cleaners and therefore requires specific experience, dedication, and a first-class cleaning checklist. At Maid2Match, we personally vet all our cleaners, after having them complete a three-part application form. We provide extensive support and have crafted the most effective bond cleaning checklist you’ll find. Let our experts take the stress out of your move out cleaning Brisbane. Situated 5 kilometres away from Brisbane CBD, Bardon can be reached quite easily if you follow the road to north-east. This suburb offers both the tourists and its inhabitants some wonderful vistas since its streets are guarded by leafy trees. Besides, this suburb is snuggly built at the bottom of Mount Coot-tha, so the mountainous slopes provide additional enjoyment. The area developed fast, and now the suburb has plenty of stand-alone houses. Their inhabitants can admire the ridgelines and abrupt gullies of Mount Coot-tha. If you walk on Simpsons Road or Macgregor Terrace, you too can enjoy the landscape. Besides, Ithaca Creek which runs through Bardon is particularly quaint and refreshing. The Sweet Crumbs Patisserie is delicious and a great stop after your hikes, but you can try the Persian restaurant too. After that, the Sir Thomas Brisbane Planetarium is a must-see. Bardon is famous for its heritage listings as well, so you can visit the Oogarding or Bardon House. Rainworth House is particularly interesting, and it was the house of Augustus Gregory, a famous explorer, and statesperson. You can also visit Purtell Park, home of three famous local rugby football clubs. This park also hosts Voices of Birralee, a young people arts hub.